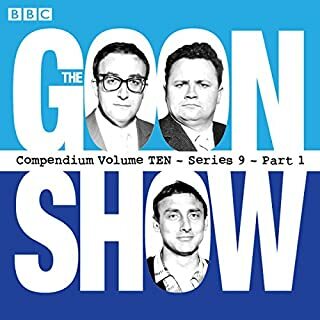 Spike Milligan, Harry Secombe and Peter Sellers star in seven early episodes of The Goon Show, plus a plethora of bonus features. 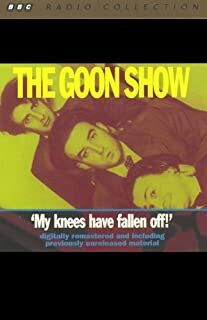 This 13th collection turns the clock back to the 1950s and the series' earliest surviving recordings. 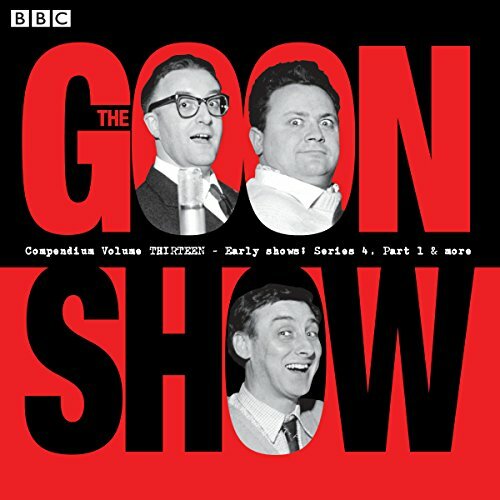 The episodes included are 'Harry Secombe Tracks Lo-Hing Ding', 'Handsome Harry Hunts for The Lost Drummer', 'The Failures of Handsome Harry Secombe', 'The Mystery of the Monkey's Paw', 'The Man Who Tried to Destroy London's Monuments', 'The Ghastly Experiments of Dr Hans Eidelburger' and 'The Missing Prime Minister'. Also featured are surviving extracts from 'The Search for the Bearded Vulture' and 'The Giant Bombardon'. 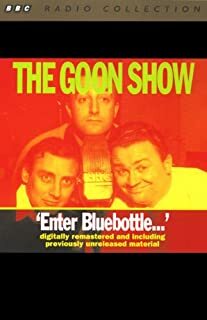 A host of bonus features are included in the collection, including the 1991 programme At Last The Go On Show, Goon Again and Just Before Goonrise from 2001, Laughter in the Air from 1979, Spike at 80 from 1998, various extracts from Desert Island Discs, and much more. 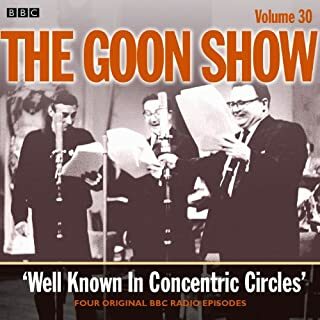 A PDF booklet tells the story of the show's development with reference to original archive paperwork, plus the history of the recordings. 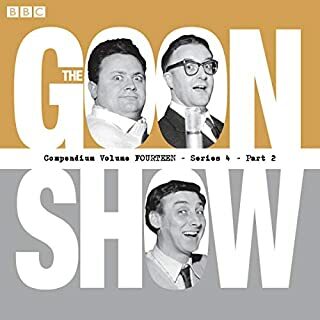 Remastered using newly sourced material and the latest technology to give the best possible sound quality, these recordings are sure to appeal to all collectors of The Goon Show. 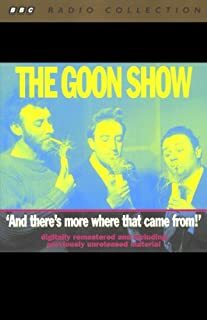 Mostly clips from the lost early Goons and a review of the history. 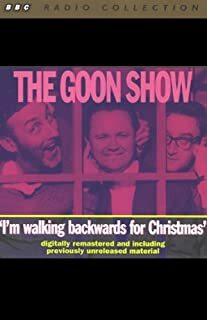 If you are looking for episodes look to the other compilations, but if you want to know the story behind the show look here. 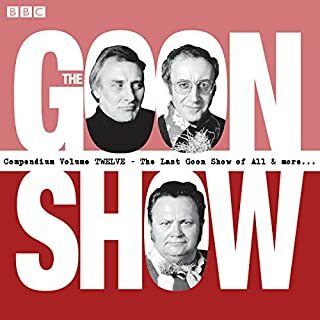 Excellent audio and wonderful to hear The Goons in their earliest surviving shows. 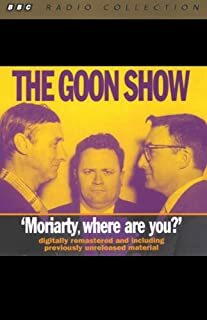 Although a thoroughly informative pdf is included with the audio download version, I'm sorry to say there is no other accompanying information or track listing to identify what you are listening to. 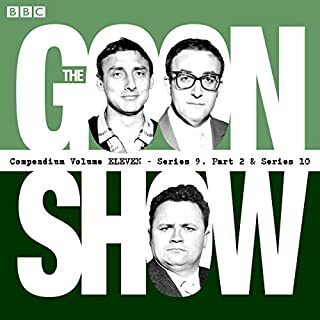 This oversight also befalls other Goon Show Compendium downloads. On the physical editions, we are treated to booklets detailing background and track listing. 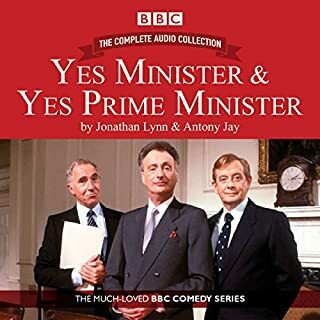 It is a shame that Audible cannot provide a PDF of these for the download version.